Almost everyone in the world loves cake, the sweet dessert that has been baked for centuries to provide food for special occasions. Although it was originally just a modification of bread that could last for a long period of time, it has evolved into something that comes in huge variety and distinctive designs. Cake is primarily now used in celebrations, with imaginative decorations and frosting often covering the surface of the cake. 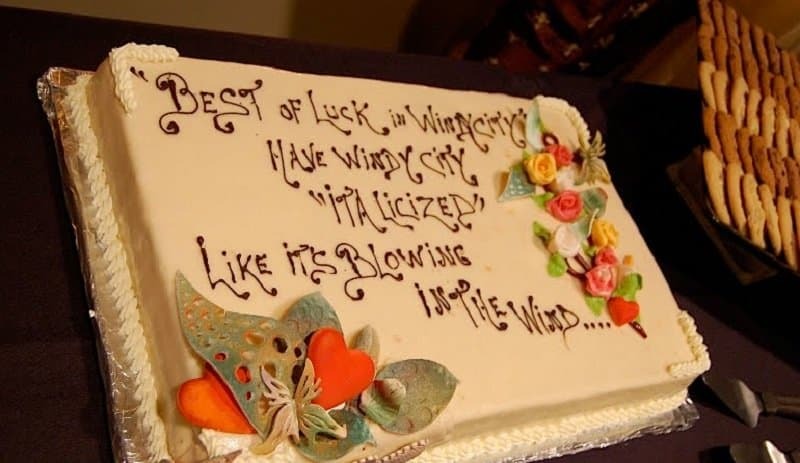 It’s also traditional to have messages adorning the dessert to offer a congratulatory thought, though sometimes these might not convey the actual message that was intended. 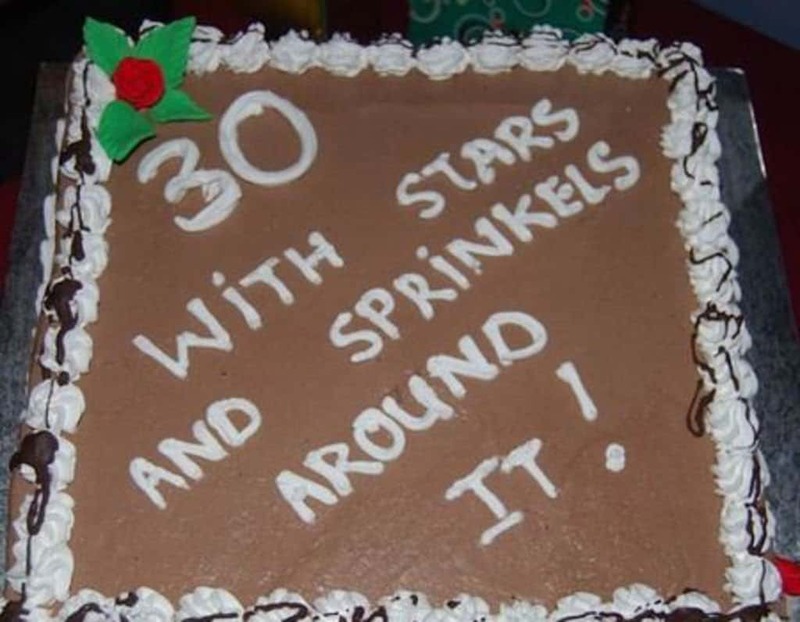 It’s such a shame that this fancy cake was spoiled by the fact that the baker didn’t realize that the customer was making a positional instruction rather than saying what they wanted written on the cake. 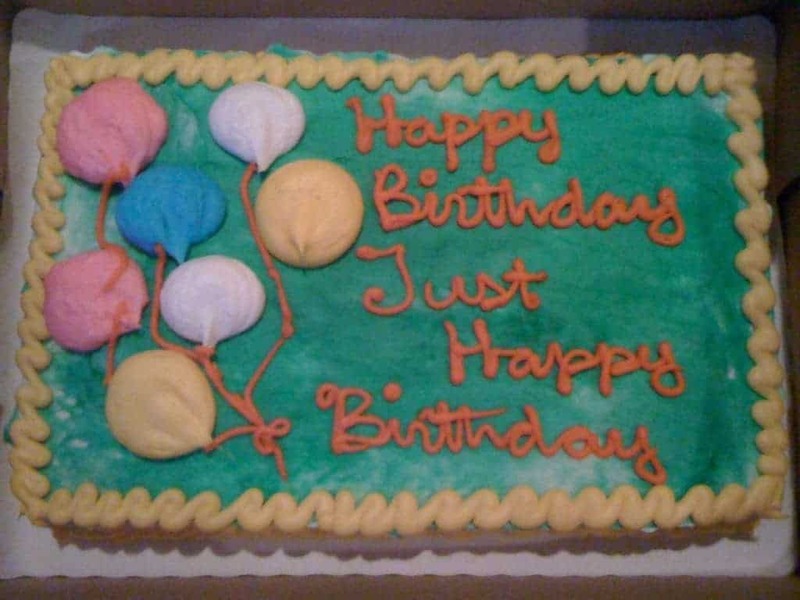 Obviously the people behind this cake didn’t want to express any other feelings towards the recipient other than wishing them a happy birthday. 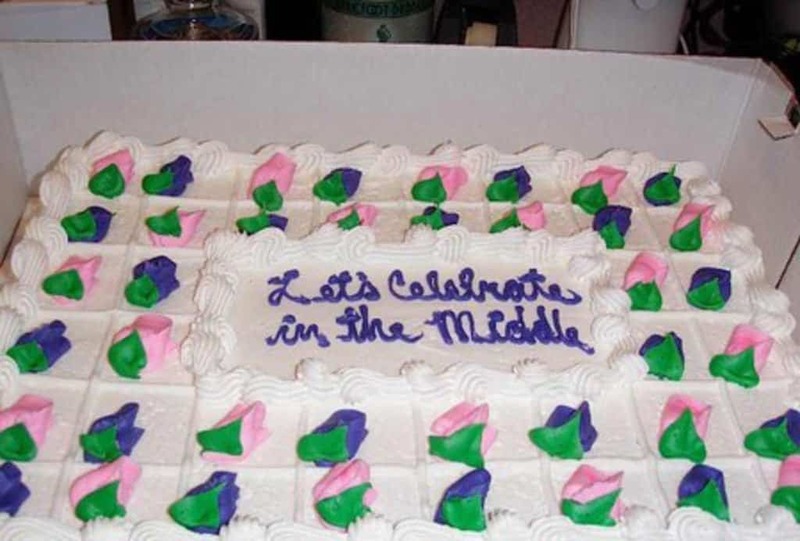 Celebrating in the middle is definitely better than celebrating on the edges. Usually you don’t have to specify the design of the frosting after you have already picked the images you want to appear. 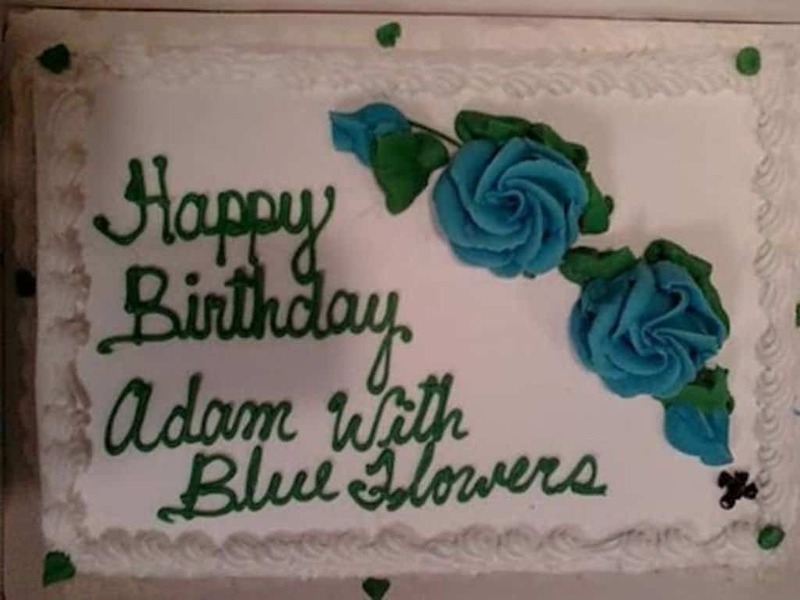 Unless of course that really is Adam’s name. 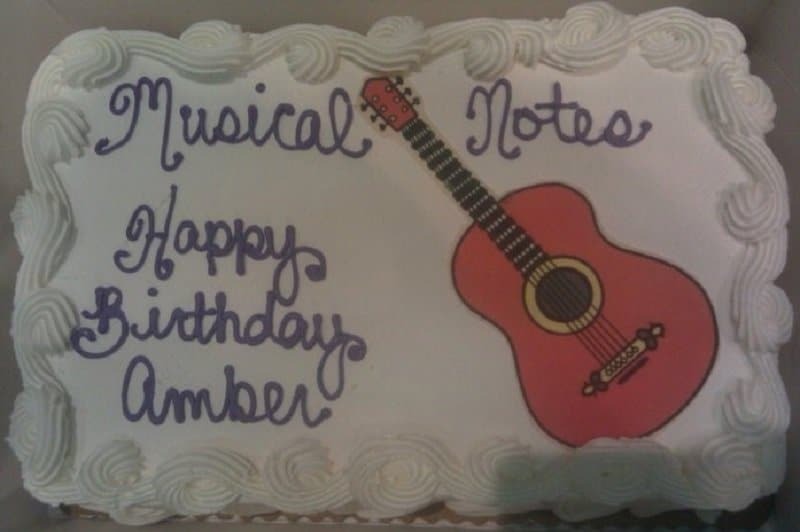 At least they tried to put some effort into the design of this cake. 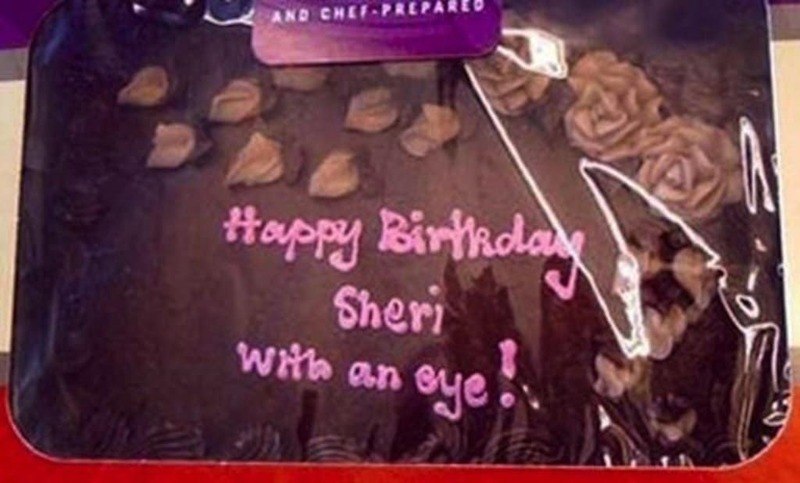 At least we know that Sheri has at least one eye, as this message clearly points out. It almost looks as if this cake has a title at the top, though we doubt the buyer appreciated it. 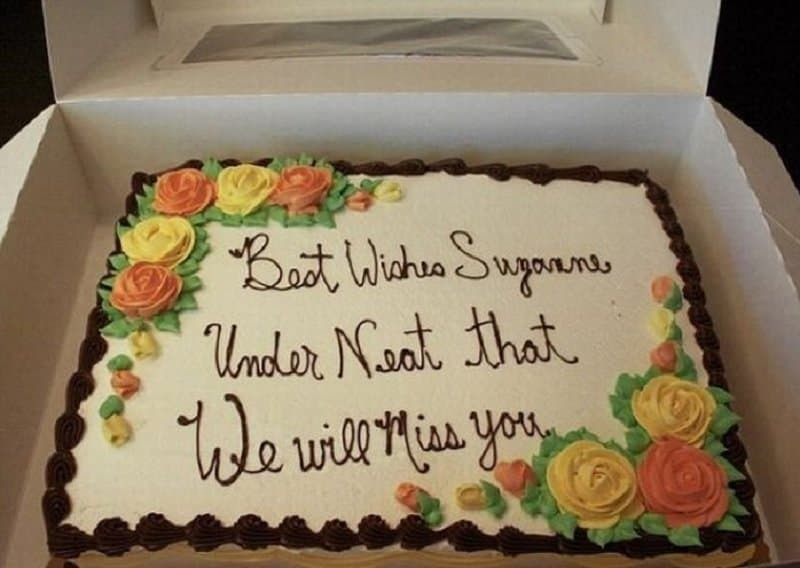 It seems some bakers really don’t understand how to separate the message from additional instruction. Either that or they simply want to spoil as many cakes as possible. 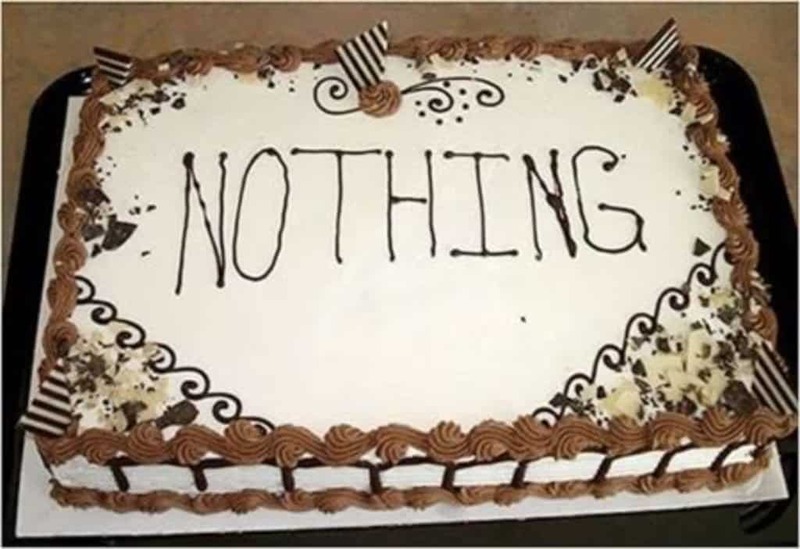 Maybe this person should have just left the message field blank if they didn’t want to have any writing on the cake. 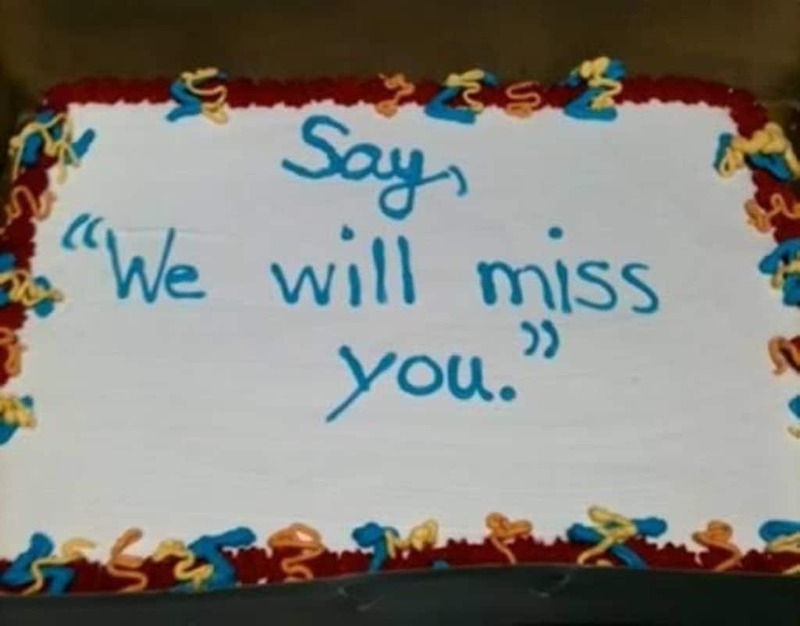 This message has gone from saying that they will miss the person to ordering them to say the phrase on the cake.